Raised in Wyoming’s stunning Red Desert on a small, off-the-grid ranch, Amber spent the year after her undergraduate studies in environment and natural resources doing part-time conservation work and exploring the West. A 2011 raft trip down the 277 miles of the Colorado River inside the Grand Canyon was all it took for her to fall in love with northern Arizona. She completed a master’s at Northern Arizona University in Flagstaff, where she studied groundwater policies and their inadequacies in the face of rampant energy development. That’s also where she met her husband, Evan, and discovered an addiction to trail running. 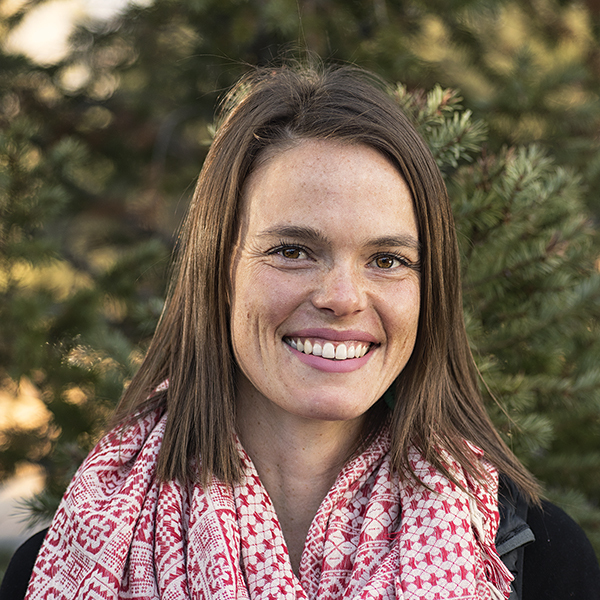 Before coming to the Trust, she spent nearly four years in Lander, Wyoming, where she worked with folks from a wide array of backgrounds on energy-related air and water quality issues for the Wyoming Outdoor Council. "My lot has been cast with the simple wonders of the world. You cannot buy the light flashing from a rainbow’s side in limpid waters. There is no price on the hoot of an owl from dusky woods at eventide. You can only experience a coyote by hearing his howl."